Thank you for reading the latest issue of Maryland’s Health Matters! At UM Baltimore Washington Medical Center, we are committed to giving you and your family the information you need to live healthfully. Read the digital version. Are you concerned about your heart? See an experienced cardiologist in your community. The certified midwives at University of Maryland Community Medical Group - Women's Health are accepting new gynecology and obstetrics patients. Learn more about our midwives. University of Maryland Community Medical Group - Primary Care has convenient office locations to serve you and your family. We also have adult and senior care offices that provide specialized primary care for adults ages 49 and older. Learn more about our primary care offices. If you or someone you know has diabetes, sign up or the Diabetes Self-Management Program at UM BWMC. Learn more about the program and other diabetes offerings. Nhan Le is back to running marathons after being treated for liver cancer by Cherif Boutros, MD, and the team at UM BWMC's Tate Cancer Center. Hear about his journey to beat cancer by watching this video. Have you or a loved one been a patient at UM BWMC? Would you like to be involved in shaping the future of our health care services? Consider joining our Patient and Family Advisory Council. Learn more about our Council and find out how you can participate. For patients diagnosed with mesothelioma, a rare and aggressive form of cancer commonly caused by asbestos exposure, finding highly specialized care can be difficult. The thoracic surgery eVisit program at the University of Maryland Medical Center (UMMC) in Baltimore connects mesothelioma patients to expert treatment, no matter where they live. To learn more, call UMMC's Department of Thoracic Surgery at 888-754-6631. The Tate Cancer Center at UM BWMC offers a wide range of treatment options for patients with lung cancer. Learn more about our lung and thoracic surgery program. 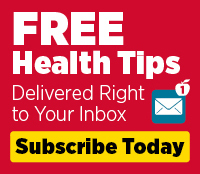 Sign up for our monthly wellness email.